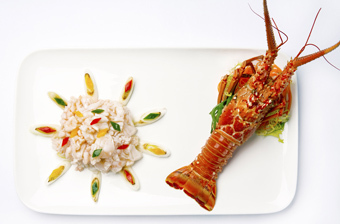 With five diverse restaurants within the hotel, serving a variety of local favourites and standout international cuisine, guests need never leave the resort. 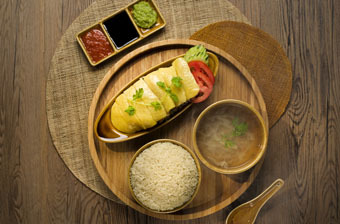 Sample the finest of Asian fare at our Michelin featured YUÈ with its creative Cantonese delicacies, or authentic Singaporean specialties at Satay Inn. 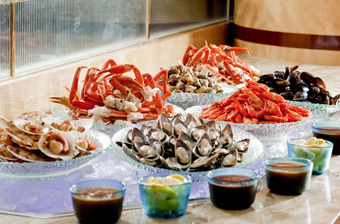 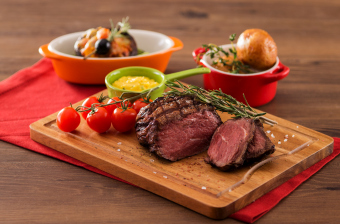 Cafe Lagoon offers an all-day international buffet and daily poolside barbecue, whilst Gold Coast Prime Rib serves classic prime rib sets within a family friendly setting. 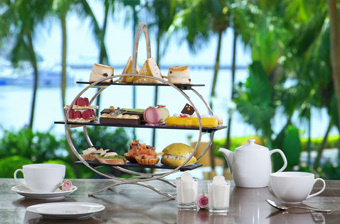 Those looking to relax with views of the sea can take Afternoon Tea with live music at Lobby Lounge.